I'm so excited that after tomorrow I'll only have 10 more outfits to do! The end is near! How exciting is that! But you know what? I've enjoyed posting my outfit posts everyday. 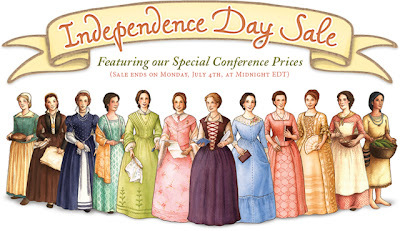 My friends Emily Rose and Breezy of Noble Rose Press are having a sale. 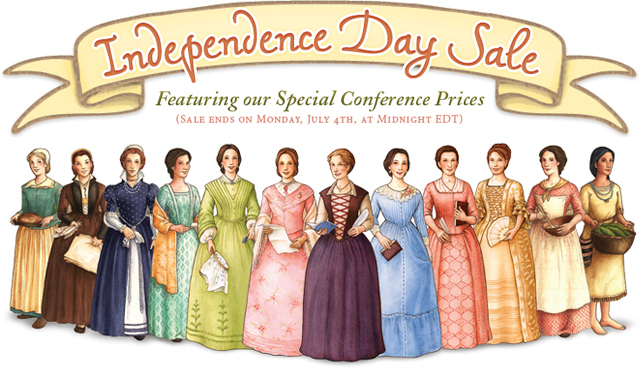 All of their paper dolls and coloring book are on sale for $7 until Monday, July 4th, at Midnight. I adore their paper dolls! They are all Christian ladies of our past and they are dressed modestly. Plus they just look beautiful! If you haven't heard of them before go check out their website and blogs. I have a question for you...when you pick all your clothing items for the 30 for 30 Remix, do you pick just your favorite pieces of clothing out of your closet, or do you pick them based on versatility? Nice outfit for the day Ashley! :) It has a nice light feeling! "In the Good Old Summertime".... the movie with Van Johnson and Judy Garland, of course! I love Breezy and Emily Rose's paper dolls too! The Lord has blessed them with incredible talent!! White with a "pop of color" certainly is summery. And somehow, it just looks cooler than any other outfit. My brother and three of his friends sang that song when they had a barbershop quartet several years ago, so I recognized your reference. A good song, to be sure. God bless, and have a happy Summer!